In November, Kiera Leddy won first place in the National Public Speaking Career Development Event at the National FFA Convention held in Louisville, Kentucky. Courtesy photo. With the current expansion of students pursuing higher education, STEM (Science, Technology, Engineering, & Math) education has become increasingly important to students. Consequently, high-achieving learners sometimes overlook the benefits that only Career and Technical Education can provide. In this four-part article we will explore how agricultural education works in conjunction with STEM education to prepare students for career success in all career fields. “Science and agriculture are related in every aspect possible,” says Taylor Knudson, former National FFA Science Fair winner. Knudson, who grew up a few miles outside of Florence, South Dakota, is heavily involved with FFA and various other activities at Florence High School. She showed an early interest in agriculture and learned the importance of farming and ranching at a young age on her century-old family farm. “I became very fond of raising animals and was intrigued by the science of food and crop production,” explains Knudson. This interest carried over to her involvement with the Florence FFA Chapter, serving as both a chapter and district officer multiple years. Here, Knudson says she learned the importance of teamwork and communication. More importantly, though, FFA inspired Taylor to advocate for agriculture. As impressed as I was with Knudson’s experience as a chapter leader, I was even more shocked to learn about her Supervised Agricultural Experience. Knudson expanded her research in following years and continues to develop her project as a senior. Her SAE project also shows up in future college plans. Taylor has been accepted to South Dakota State University where she will study nursing and minor in nutrition. “My interest in nutrition is due in part to my agriscience research projects, and my fascination with the way our body uses food as fuel,” she says. Though she will not be studying an agriculture-related field, she still feels strong ties to the industry. Knudson also explains the importance of science within agriculture. The most important connection is simple…With the world’s population at an all-time-high, food production will have to increase dramatically, despite the decreasing amount of food-bearing land. In order to grow more food on less land, farmers and researchers will need to work together. Thus, agriculture education uses science research to prepare students for their futures. By teaching them how to conduct research and solve problems, agriculture educators are giving students the tools they need to feed the world. Knudson clearly understands that science and agriculture are significantly interrelated. Science is vital to the future of agriculture, and both are important in today’s education system. Without a doubt, both science and agricultural education will continue to produce leaders that will work together to provide healthy and nutritious food for generations to come. Technology in agriculture is ever changing. From biotechnology to precision agriculture, agriculturalists are always trying to find a more efficient way to produce crops and raise livestock. One student from northeast South Dakota exemplifies technology in agriculture education to the best degree. 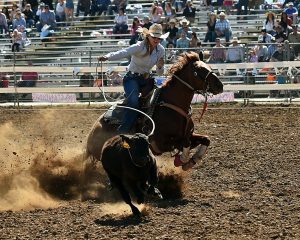 Kiera Leddy has grown up on a family farm near Stockholm, South Dakota. This last November at the National FFA Convention held in Louisville, Kentucky, Kiera won one of the most prestigious awards that FFA and agriculture education has to offer, the award of first place in the National Public Speaking Career Development Event. Even though Kiera won a great honor, what she learned from her speech and topic was just as exciting and is one of the reasons that agriculture education and FFA are useful for today’s students. Through the process of writing and researching her topic of Biotechnology and GMOs Kiera talked to countless industry leaders and representatives. When asked about her speech she says: “I started out with just a topic, and what I ended up with was a passion.” Because of Kiera’s countless hours researching, writing, and presenting she discovered her love for informing others about agriculture, biotechnology, and she even found her future college major of Agriculture Communications and Biotechnology. When asked about how agriculture has impacted her life she says that agriculture education changed her life. 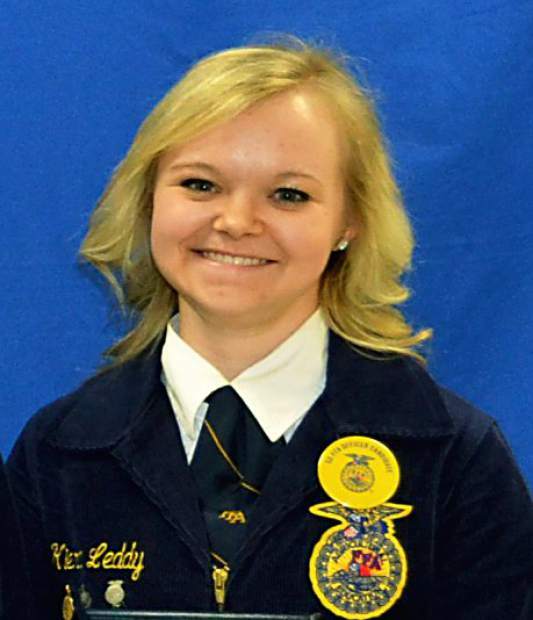 Hesitant to join as an eighth grader because of her other commitments of band and debate, and not being sure what agriculture education and FFA could do for her made the decision to join tough, but through the support and advice of her parents, Krecia and Donny Leddy, she joined an ag class and hasn’t looked back since. Kiera is just one FFA member, but she is a very successful one, and that shows not only with FFA, but everything else she is in. Kiera holds numerous titles and awards, but the ones that are most dear to her are the ones she has worked hardest to accomplish. Agriculture education is not just for those who want to go back into production agriculture, agriculture education is for everyone. Every agriculture education student and FFA member gets key insights to some of the nation’s most important education campaigns and are privy to some of the most recent science and technology topics and discoveries. Agriculture education produces talented students who can think critically and make a difference in society, and STEM education is one way that they can accomplish that. From fixing farm equipment to judging dairy cattle Shane Mueller has invested many hours into various agriculture industries. Shane is a freshman South Dakota State University for the 2014-15 academic year. Although he is a major in Animal Science/Pre-Vet, Shane has excelled in the field of engineering. With an outstanding performance at the national level in the Ag Mechanics Repair and Maintenance proficiency Shane suits the engineering category of the STEM System well. Building race cars has been a hobby of Shane’s, and he attributes many of the skills learned to a metal fabrication class he took in high school. His interest in tinkering in the shop was supported by “working on farm equipment at a very young age with the assistance of [his] dad.” Shane notes that he also has expanded his engineering knowledge through trial and error. Because of his interest in engineering, classes offered at SDSU within this field have been great elective options. Shane’s future has been shaped through high school courses including agriculture. Sheep Production, Ag Mechanics Repair and Maintenance are just three of Shane’s nine extensive proficiency awards on top of numerous fall and spring Career Development Events (CDE’s). FFA offers countless opportunities and areas of interest to students looking to hone their skills and talents while they explore various career options. Shane states, “Ag Ed made a huge impact on my choice to attend SDSU”. With over 20 majors and specializations in the College of Agriculture and Biological Sciences, there are plenty of classes for students interested in similar fields. Shane goes on to say that agriculture education not only offers “valuable information” but also “good life lessons that will stick”. Supporting agriculture classes in post-secondary education, Shane thinks he can really build on the basic interest and facts learned in high school. The Farm Business Management Career Development Event (CDE) gives students an insight into one of the many aspects of the agriculture field. Agriculture is a leading industry in South Dakota and many will pursue careers within the industry therefore making CDEs such as Farm Business Management beneficial for students. Not only do CDEs development skills needed for a specific career but they also develop beneficial skills for everyday tasks and careers outside of the agriculture industry. An example is, through the Farm Business Management CDE, the ability to analyze financial records is developed and those who participate will be able to apply the skill in their future careers as well as their lives. Agriculture education provides students with a better understanding of an industry that is vital to South Dakota. Education is provided on the importance of soil conservation, proper plant management and the importance of agriculture as an industry throughout the world. Agriculture education also teaches important life skills such as analyzing financial records. Students develop their leadership skills, take on more responsibilities, and realize the roles that they play as students within a community. The Farm Business Management CDE can be challenging and pushes students to work hard, but the experience that CDEs like this one provide and the skills that agriculture education develop are irreplaceable. Agriculture education and CDEs allow students to experience the industry of agriculture first-hand and prepares students for not only a future in agriculture but any future that they desire.